Radical Party leader Oleh Lyashko wanted to see the full text of what he called a “deadly” cooperation memorandum signed by Prime Minister Volodymyr Groysman. “I’ve seen these documents and I know that they envisage raising the retirement age and greenlighting the sale of land and strategic facilities,” Lyashko wrote on Facebook. “This will send our economy down the drain, along with our pensioners because people will simply not be able to live to 70. We should forget about these IMF loans altogether,” Lyashko added. 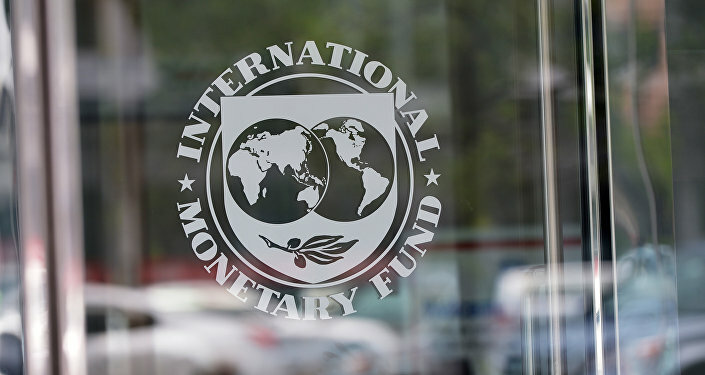 Earlier, Finance Minister Olexandr Danilyuk said that Kiev had agreed to a new memorandum on financial and economic cooperation with the International Monetary Fund, but added that it would be made public only after it had been signed. Admitting that a reform of the country’s pension system was a major provision, he didn’t specify whether raising the retirement age was part of it. Meanwhile, an IMF mission led by Ron Van Rooden, which completed its work in Kiev last week, praised the “considerable progress” Ukraine had made over the past year in stabilizing its economy. The IMF’s four-year financial bailout plan for Ukraine originally envisaged the release of four loan instalments to Kiev in 2015 and another four in 2016. So far, Ukraine has received only the first tranche of $5 billion and a second one worth $1.7 billion. Kiev now expects a third, $1.7 billion tranche to arrive in late June instead of two instalments worth $3.4 billion Ukraine originally hoped for. The IMF wants Kiev to slash spending and increase revenues, while making major changes to receive the promised $1.7 billion. Pension reform is another major condition, and it looks like Kiev has agreed to raise the retirement age. “Life expectancy in Ukraine is among the lowest in Europe as one in four Ukrainians doesn’t live long enough to become a pensioner. And still, the IMF demands that we raise the retirement age and the authorities are ready to make it happen,” Viktor Medvedchuk, the leader of the opposition Ukrainian Choice movement, wrote on Facebook. Privatization of state-owned enterprises is yet another condition for unlocking IMF funds for the money-starved Ukrainian government. The Verkhovna Rada has two weeks to approve the privatization of almost 400 state-run enterprises, including several in the fuel and energy sector, which had earlier been listed as strategically important. “Selling state property for a song is the price Ukraine will have to pay for another handout by these loan sharks,” Medvedchuk wrote. The IMF also believes that Ukraine is spending too much to keep its state-run energy company Naftogaz afloat and demands that it be broken up in line with EU’s energy packages. The European Commission, for its part, demands a reform of Ukraine’s gas-transit system depriving Naftogaz of its transit duties. The government has already promised to do this before the year is out. This means that the Ukrainian state is going to lose control of its gas transit sector, which will wind up in private hands with the loss of much-needed transit payments from Russia’s Gazprom. Meantime, Ukraine’s state government debt keeps rising and now stands at $65.2 billion, an imposing figure several generations of Ukrainians will have to work hard to repay.